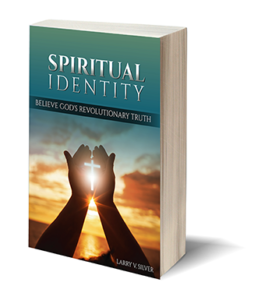 Larry Silver’s Second Edition Book, Spiritual Identity Details The Struggle With Identity. At some point every one of us has asked the universal question, “Who am I and Why am I here.” For years, I not only asked the same question but struggled daily with the issue of identity. For me, being born an identical twin in a Jewish family, this crisis started at birth. I struggled to know who I was and my purpose in life. All of this began to change as I embraced a major Biblical truth that would revolutionize my life. Spiritual Identity is a simple and sublime study of one’s understanding of their identity in Christ. This book will reveal the subtle difference between how a Christian believer grows spiritually, while also walking in their eternal purpose. Much more than another Christian entry, Larry Silver’s Spiritual Identity is a personal and compassionate treatise that will help all believers walk in their true identity. Believers are born into circumstances that can confuse our true identity. God uses these circumstances supernaturally to point us to himself. Finding identity in Christ alone is the only way to unlock purpose, peace, and joy. Spiritual Identity is available in paperback, e-book, and audio version via Audible on December 1st. To receive a free sample of the book, please email info@LarryVSilver.com or text #Sample to (937) 776-7170. If you would like to request Larry Silver for an interview or to receive a free copy of the book, please contact us at the information above.